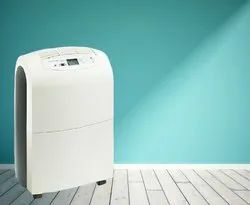 Offering you a complete choice of products which include white westinghouse - dehumidifier, room dehumidifier, dehumidifier for pharma industry, home dehumidifier, white westinghouse dehumidifier and dehumidifier. Dimension 23" * 14.5" * 10.5"
Size 23" x 14.5" x 10.5"
White Westinghouse Dehumidfiers Ideal for Home, Offices, Hotel Electronics, Pharmaceuticals & Health. 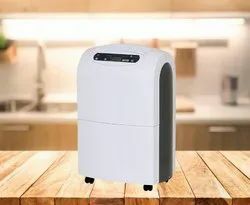 This 3 in 1 Dehumidifier Keeps your Living places dry by absorbing the water vapour in the air, gives you clean and fresh air by removing dust particles and can dry clothes naturally. Being a client centric firm, we ensure high quality Dehumidifiers for Pharma Industry are delivered to the customers. The product is manufactured using high quality raw material procured from the most reliable vendors of the industry. It is manufactured under the supervision of expert professionals who ensure that the product is manufactured in compliance with industry set quality standards. Our clients can avail the product from us at very reasonable rates and within the specified time frame. Dehumdifiers are very Commonly Used for Commercial as well as industrial applications. Common applications include Office spaces / Commercial Spaces as well as a Host of Industrial Applications for Different types of Industries. Excess moisture/humidity level in buildings often causes physical symptoms in people who work in such environments. These complaints range from chronic fatigue to concentration problems. Higher humidity or moisture makes the office environment feel "stuffy" & "damp" that leads to uncomfortable environment and under-productive staff. Most importantly, it contributes to the development of mold, bacterial and fungal growth and its exposure to people are higher in buildings or office with excess moisture and humidity. This can result in a problem in concentrating, high degree of sickness and absence with extremely high labor costs extra. Our Industrial Dehumidifier are available according to specifications given by our clients supported by which these are appreciated extensively by them. Furthermore, range that we offer are highly durable and has flawless finish as these are checked on several quality parameters of the organization. We are into manufacturing and exporting of a very high quality of Dehumidifiers for Laser Industry. The product is in accordance with industry set quality standards and is widely demanded these days. Our clients can avail the products at very reasonable rates and within the specified time frame. It has a auto frost control and power rotary compressor. Wheels are also provided to carry it easily from one place to another. Excess moisture/humidity level in buildings often causes physical symptoms in people who work in such environments. These complaints range from chronic fatigue to concentration problems. Higher humidity or moisture makes the office environment feel "stuffy" "damp" that leads to uncomfortable environment and under-productive staff. Moisture Removal ( L/Day) - 18 Ltrs. Water Tank Capacity - 6 Ltrs. 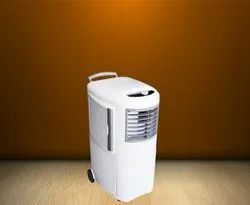 We hold rich experience in manufacturing and exporting of Dehumidifiers for Server and Computer Room, which are widely demanded these days. These products are manufactured using high quality raw material procured from the reliable vendors of the industry.. The price of the product is kept very reasonable and is delivered within the specified time frame. Every product is quality tested several times to ensure its compliance with industry set quality standards. The product is available in varied specifications to satisfy the needs of the customers. We are into manufacturing and exporting of Dehumidifiers for Laboratories, which is designed by our expert designers keeping in mind the latest market trends. This is widely acknowledged for its long life and high quality. Latest techniques and modern machinery are utilized in the manufacturing of these products. The product is mainly used for automatic humidity control and auto frost control. Cover Area upto ( Cu.ft.) - 2200 - 2700 Cu.Ft. Dimensions 23" * 14.5" * 10.5"
White Westinghouse, USA. With more than 100 Years of Expertise and Existence across the world, White Westinghouse stands for QUALITY, DESIGN AND PERFORMANCE. White Westinghouse Customers demand a lot from their products. They want Products that deliver the ultimate in Performance. They want fully featured Products with a host of conveniences. White Westinghouse products are designed to look beautiful and designed to give maximum Performance. 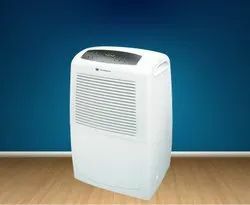 White Westinghouse Dehumidifiers now come to India, with Total Sales and service back - up by Jet India, which is in the dehumidifier business since the last 12 Years. 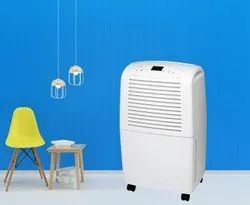 Within the last 3 Years White Westinghouse is gradually becoming one of the major players in the imported portable dehumidifier segment. With Clients spread across different industries such as Food, Pharma, Computer and Electronics, Hospitals, Hotels, Optical, Recording Studios, Art galleries and even for Individuals. The White Westinghouse Dehumidifier is a High Performance machine conforming to International Standards such as CE, ISO9002. Dimensions 23" x 14.5" x 10.5"
Water Tank Capacity ( Ltrs.) - 6.5 Ltrs. Cover Area upto ( Cu.Ft.) - 3000 - 3500 Cu.Ft. Cover Area upto (Cu.ft.) - 5500- 6000 Cu.ft. Our organization is highly appreciated by our clients for manufacturing quality House Dehumidifier at reasonable rates. Raw materials used is of very high quality and is delivered to the customers within the specified time frame. These machines are appreciated for their durability, rigid construction and low maintenance. They are quality tested on varied parameters before delivery to the customers and are appreciated by customers all across the globe.